If you are barely making ends meet and struggling with credit card debt, you might benefit from some help from a credit counselor. Reputable credit counselors offer low-cost services to help you manage your debt and plan a budget to avoid further financial problems. Some agencies that call themselves nonprofit still might charge high fees or pressure you into making contributions that drive you deeper into debt. Look for organizations that offer some materials and workshops for free, and go elsewhere if a firm is unwilling to provide you free information about itself and services before you divulge details about your situation. Ask your bank or credit union, local consumer protection agency, and friends for referrals. The U.S. Trustee Program maintains a list of approved credit counselors for pre-bankruptcy counseling on its website. Check with the Better Business Bureau to see if any complaints have been filed against the agencies you are considering. Look for an organization that provides a wide spectrum of services, including classes on budgeting and saving, and avoid businesses that focus only on debt management or debt settlement. Walk away from firms that charge upfront fees and urge you to stop paying your bills and communicating with your credit card companies. Get details on how much the agencies charge. What services are offered for free, and how are fees calculated for other services? Get price quotes in writing. Ask how employees are compensated, and consider it a red flag if the staff gets commissions for services you buy. Can you still get help if you can't afford to pay? Ask what training and certification the counselors have. The FTC recommends looking for an agency whose counselors are trained by a non-affiliated organization. Find out how your financial information is kept confidential and secure. Check to see if the agency is licensed to offer services in your state. 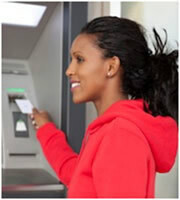 Taking the time to research credit counseling agencies is a good first step toward addressing your financial problems. Don't let desperation drive you to accept the services of an organization that doesn't have your interests at heart. 0 Responses to "Drowning in credit card debt: How to choose a credit counselor"